Part inspiration and part how-to, iPhone Obsessed is filled with eye-popping images and coverage of 47 of the best iPhone photo applications. 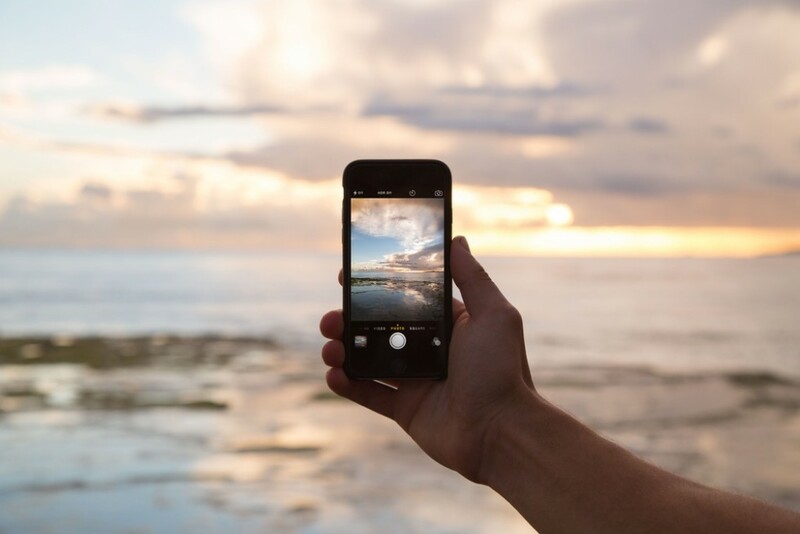 Without ever leaving your iPhone, you learn to create artistic effects such as blurs and vignettes, high dynamic range, film looks, black and white, and more. Marcolina takes you through the construction of his images, explaining which apps he used and why. You’ll not only be inspired to create hang-on-the-wall art with your iPhone, but you’ll know exactly what apps to use and where to get them. iPhone Obsessed also interacts with your iPhone. In the introduction, the author explains how to scan one of the 75 custom Microsoft Reader Tags in the book using a free iPhone tag reader. These tags uncover another virtual layer of information, including four hours of bonus video tutorials, app developer Web sites, and links to the iTunes Store for app purchase along with inspirational image galleries to swipe through. He also includes several bonus textures that he created for you to download and use on your images. Readers of IPhone Obsessed can also join the iPhone Obsessed flickr group to share their works of art as they go through the apps in the book. I’ve read the book all the way through several times. Great info, very INSPIRING, even for an app developer like myself! 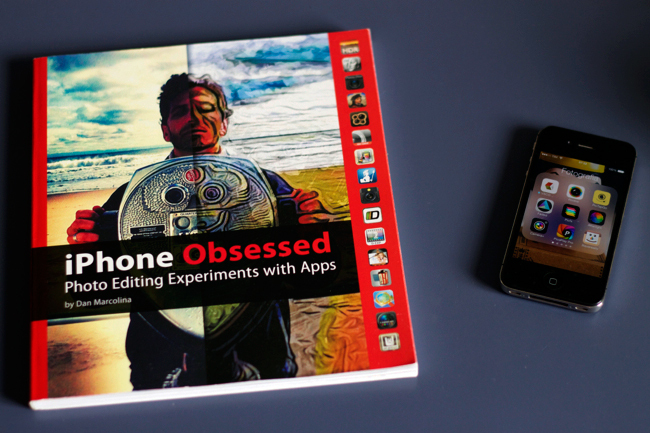 As the developer of the LensFlare app, I’ve spent many hours playing with different iPhone apps before getting this book. Now that I’ve read it, I’m even more inspired to try new techniques. This isn’t just a gallery of photos, it delves into numerous examples discussing how and WHY techniques are done. I’m especially impressed by the use of multiple LAYERS. I’m used to thinking in terms of a single photo with processing applied to it, but this book really opened my mind to the use of layers. There’s lots of great techniques and examples on adding different layers, with each serving a different purpose. Finally, this isn’t just a book. It’s more like a portal that leads to more information, videos and examples online or directly on your iPhone with the scan tags.